The 30-minute Iron Man (Team) match was next, and while this didn't light my skirt on fire as they say (Someone must say that, come on), it was very smartly booked, which I appreciated. Sheamus got a quick fall in the first 16 seconds with a cheap Brogue Kick (Somehow I knew there was gonna be a fall right after the bell), and Cesaro & Sheamus never fell behind after that. Matt and Jeff Hardy fought gallantly to even the score and finally did so in the waning minutes. 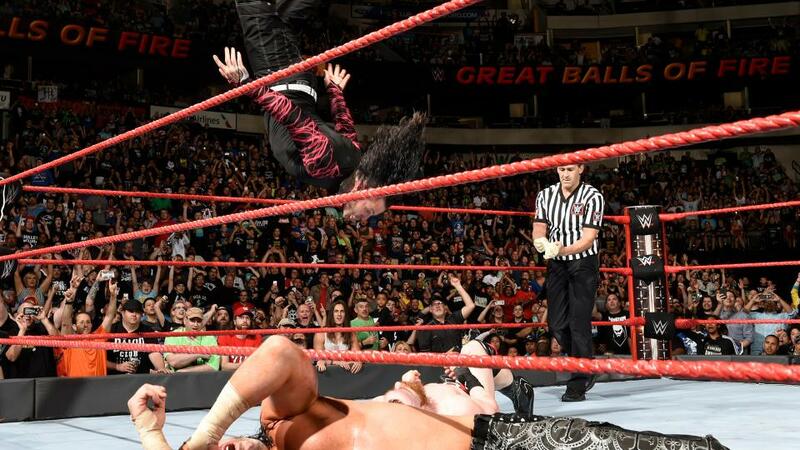 But with only thirty seconds left Jeff hit a swanton on Sheamus only for Cesaro to roll him up for the go-ahead fall. Great cheap heel tactics there. Jeff chased Cesaro around the ring, rolled him in and hit a Twist of Fate but didn't have enough time on the clock to get a three-count. Thus Shesaro retained the straps. As a match it was only ***1/2 or so, but the booking was great here. This was followed by an equally satisfying Women's Title match. Alexa Bliss and Sasha Banks had arguably the best main roster PPV women's match so far this year, meshing well and creating an enjoyable mix of technique and character work, including Alexa faking a dislocated elbow only to sucker punch Sasha and take control of the match. After a very engaging 12-minutes Alexa took a deliberate countout loss to hold onto the belt. I've read some complaints about this but I was totally fine with it - Alexa's a douchey heel champion who was overmatched. Makes perfect sense for her to take the cheap way out, and it sets up a rematch. Sasha attacked Alexa after the bell, culminating in a pretty spectacular double knee dive off the announce table to the floor. Intercontinental Champion The Miz and Dean Ambrose then had....a match. This was fine. That's about it. The Miz's entourage attempted to interfere repeatedly and Ambrose stayed one step ahead, until he didn't. Miz nailed the Skull Crushing Finale to retain. Hard to believe Dean Ambrose was the WWE Champion less than a year ago. He seems like just a guy now. The semi-main event slot went to Roman Reigns and Braun Strowman, who had a very entertaining brawl, with the usual Reigns bells & whistles. 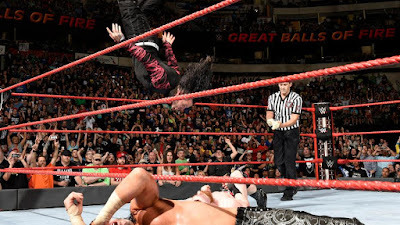 There were ring stairs, chairs, fighting near the ambulance, and fighting on the stage, during which Reigns shoved Strowman through the LED screens. 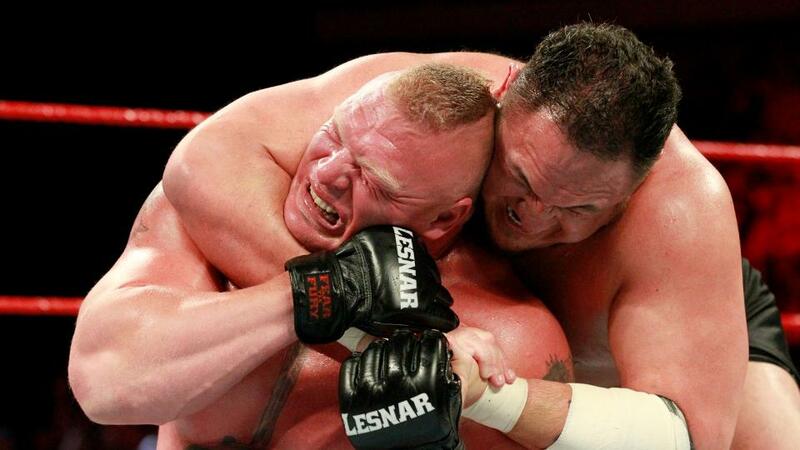 The story of the match was Strowman's invincibility and Reigns' increasing desperation. Reigns finally went for a spear but Strowman moved and Reigns ended up throwing himself into the ambulance. 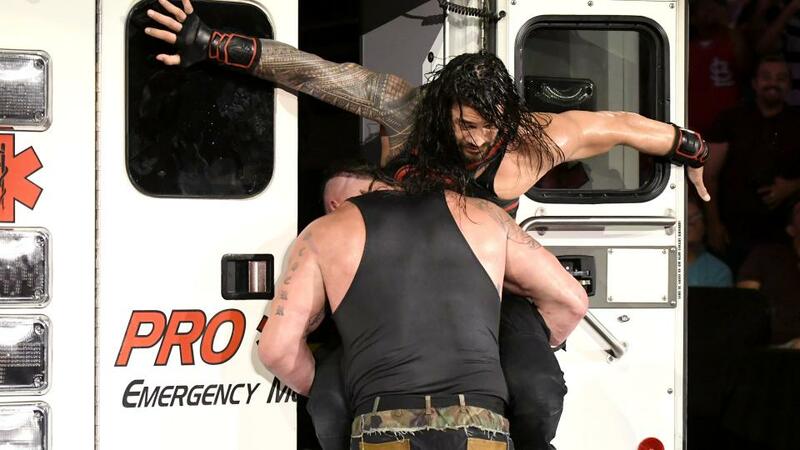 Strowman shut the doors to win the match, after which Reigns attacked him, stuffed him into the ambulance, drove to the back, and rammed the ambulance backwards into a semi rig. The back of the ambulance accordioned, and the show ground to a halt as this angle played out. Reigns walked away after attempting to murder a man, while a bloodied Strowman finally emerged from the wrecked vehicle, refusing medical attention and walking away. This has to be a double-turn right? 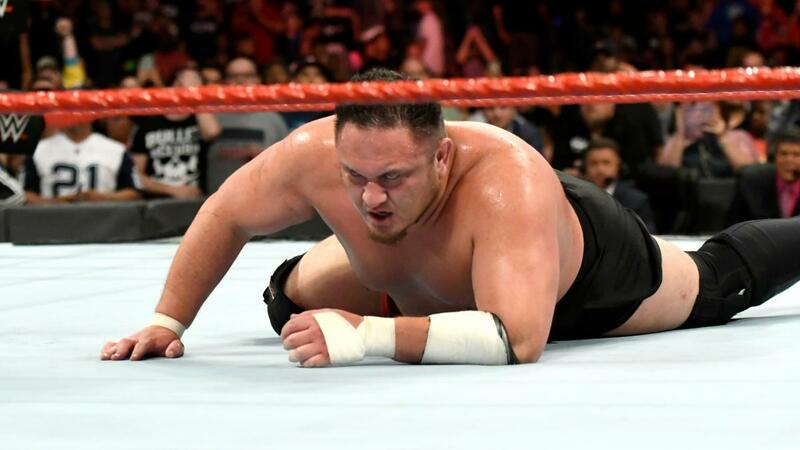 To recap, Reigns tried to KILL Strowman after losing the match, while Strowman defiantly hobbled away from the wreckage. If Reigns isn't booked as an official heel after this, they're insane. Anyway, Great Balls of Fire was a fine way to spend an evening. Nothing amazing, but everything on the show had a purpose, Strowman and Samoa Joe emerged as major forces to be reckoned with, and the booking all made sense. Not much to gripe about here. Interesting note: All three former Shield members lost, which I think is a first since their losing team effort to The Wyatts at Elimination Chamber 2014. What I'd Change: I'm not sure why they needed the impromptu match during the ambulance angle.